Then look no further than Rooftop Film Club who offers it all. We believe iconic movies and great dialogue deserves to be heard properly. Ever missed that key plot-line because the guy behind you is eating his popcorn too loudly? We use state-of-the-art wireless headphones so you can live in those memorable cinematic moments, and not get disturbed by the outside world. Now that’s cinema. Great films deserve great locations, and our venues are set alongside some of the most iconic city backdrop’s around the world. With panoramic views and stunning sunsets, movies have never looked so great. Outdoor cinema is about embracing the world around us, but that doesn’t mean it has to be uncomfortable. Which is why we use comfy deckchairs with adjustable seat heights, meaning you can lean back and breathe in those city views under the stars. Please note the Queen of Hoxton is Director Chairs. Looking for that perfect movie? Our programme is hand-picked with a personal touch, to ensure each night is an unforgettable movie experience from cult classics to brand new releases. Each film starts at sunset, so as the stars begin to sparkle watch your favourite movie moments come to life on the big screen. To find out about their latest shows and to book click here. Thanks to Rooftop Film Club who let some of the community of Love Pop Ups London come down to watch ’28 Days Later’. Read all the blogs/reviews from the comments section from below. What about watching one of the most original zombie moves of all time? What about watching it at night, on top of a carpark in a pop up outdoor cinema? Definitely a MUST as a real London summer experience. The cinema club is a great idea for a night out, stuff is very welcoming and polite, also explain everything you need to know timing, facilities around, headphone/blankets. while waiting for the movie you can have a drink or snack at one of the bars, with rather typical London prices. Enough dark to watch a movie, also you can control volume in your headset. Highly recommended and great experience for the money. 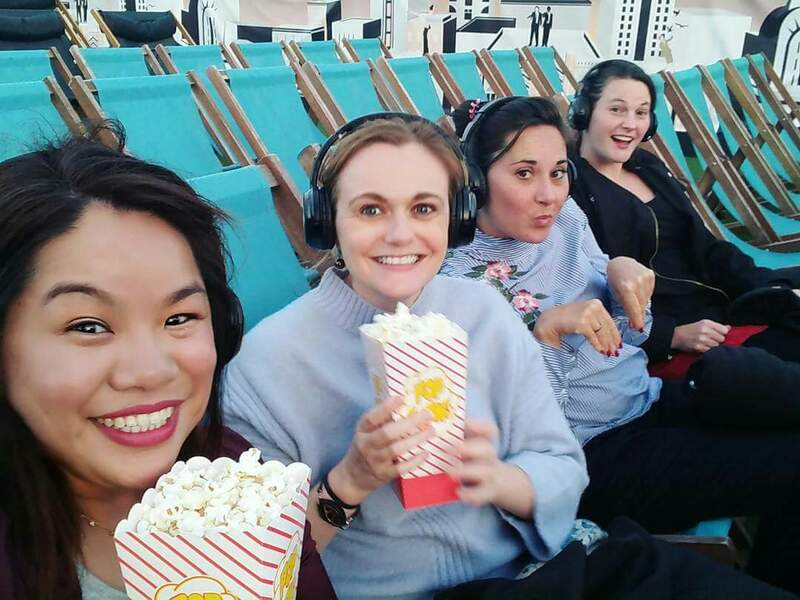 The first rule about rooftop cinema club is you don’t….